Natural Society reported back in February that a UK company was planning to release GMO mosquitoes in Panama in order to reduce the populations of dengue fever, but now civil society groups in a town in Brazil where GMO trial mosquitoes were released are expressing alarm at an increase in dengue incidence, leading them to declare an emergency decree. Without adequate scientific inquiry, the Brazilian regulator Comissão Técnica Nacional de Biossegurança (CTNBio) recently gave the green light to the commercialization of the technology proposed by Moscamed Brazil in partnership with the English company Oxitec and the Universidade de São Paulo. This is the same company that proposed releasing GM mosquitoes in Panama, for supposed similar reasons. While it is understandable that municipalities with high dengue sickness rates would be interested in lessening the disease, it seems that biotech has once again fooled government agencies into polluting the environment with untested, unsafe, genetically manipulated organisms. Once again, government officials ignored warnings that GM mosquitoes might be hazardous to public health. During the evaluation of the commercial application for the release of the GM mosquito, The National Technical Commission for Biosecurity (CTNBio) member had presented a report with information questioning the impact of the GM mosquitoes on the incidence of dengue, warning that in some circumstances the releases could make the disease worse, even if the number of wild Aedes aegypti mosquitoes was reduced. CTNBio approved Oxitec’s dengue ‘solution,’ nevertheless. Previously, Moscamed had announced an 81% and a 100% reduction in the number of Aedes aegypti mosquitoes in at least two localities of Jacobina, claiming that this meant the experiments were a success. According to Oxitec, pilot-scale releases started in the north-west of Jacobina in June 2013 and the programe would roll out across the entire city over two or three years. The latest state of dengue emergency can be linked to the GMO mosquitoes, since the instance of disease is greatest in areas where they were released. The Brazilian National Agency of Sanitary Vigilance (ANVISA) is now in charge of registering and monitoring the product. Over 10 million GM mosquitoes are suggested for release for every 50 thousand inhabitants by the makers of the latest GM atrocity. Go figure: Human beings treated like guinea pigs and it going badly? what?!? Really?Say what you want Pro GMO’ers this was an accident waiting to happen. What about the relation between the GMO mosquito and the Zitka Virus? It’s no accident that the rise in Dengue and Zitka go hand in hand..probably some form of imperialist ‘population’ control action going on right? I think a true team of independent scientists should be down there …is that going to happen….? Tnis is plain nonsense: the release was an experiment, restricted to a few neighborhoods. It was concluded many monthas ago, The city has had many such alarms before the experiment and will certainly have othesr in the near futrure, as the integrated mosquito control is lacking. The news, as it is written, leads the reader to the wrong conclusion that GM mosqutoes anre useless. I”d like to know if Dengue fever has gone down anywhere because of these mosquitos. So far I’ve not seen that in any kind of reports. As you can deduce from my comment above, only experimental controlled releases were performed to date. Data derived from all such experiments demonstrate a sharp decrease in vectorial population. To every experienced epidemiologist this is very suggestive that the technique will work when used in large, commercial scales. There is a difference between a “decrease in vectorial population” and a reduction in Dengue fever. I’ve read that in a town in Brazil where this was done there still is a big problem with Dengue. Some excuses have been offered for a lack of results. Since this has been going on for some time I would think that positive results would be seen by now. I also don’t get why they would do this in Florida where the problem is minimal. And so far nobody reports who is paying for the program in Florida. you are reading fragmentary and biased information on Dengue fever in Brazil.Both in Juazeiro and Jacobina, State of Bahia, Brazil, the GM mosquitoes have been release in only a few neighborhoods, and the objective was to generate data for risk assessment, as required by the Brazilian National Biosafety Commission. By no means the experiments were intended to control dengue. The rest of the neighbors were under strong vectorial pressure and it is no surprise that Jacobina had seen new dengue cases. These facts are no excuses, it is simply how science works and new technologies are implemented. In Florida the problem is now minimal, but the chances of a sudden increase in epidemics are high. The Dengue scenario can change rather quickly. 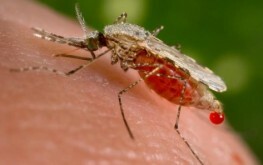 Mathematical modeling suggests that the GM mosquitoes may be much more helpful in such cases, where mosquito population is small.